Stop by our store and get equipped by the experts in exploration. Our durable gear fits adventures of all sizes and is backed by our lifetime warranty. We rely on thoughtful design, sustainable materials, and master crafts people to keep our products on the trails, crags and peaks for a lifetime of adventure. 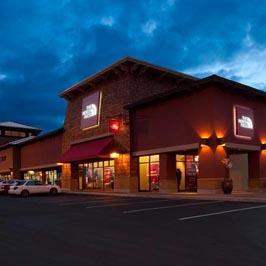 Shop at The North Face Woodburn Outlet for HIKING, WINTER RUNNING AND TRAINING, and SKIING AND SNOWBOARDING gear, plus high-tech apparel for all outdoor activities. Don’t let the elements keep you from experiencing new and exciting adventures, or comfortably getting where you need to be. Find great winter essentials on OUR BEST WINTER JACKETS, PARKAS, SNOW BOOTS, PACKS and more. Visit The North Face online or in-store to find performance apparel from our latest collections and winter essentials for the whole family.